Paul has suffered from an invisible disability since birth, haemophilia. This results in him bleeding longer after an injury and easy bruising; as well as an increased risk of bleeding inside his joints or the brain. Things got no better when he started work as his employers struggled to understand his invisible disability. Since Paul was awarded a scholarship and joined the FSDP family in 2014 he has become a changed man. 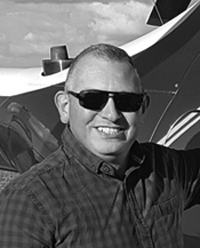 He has gone on to become a FSDP mentor, helping candidates through the selection process at RAF Cranwell and subsequently visiting new scholars during their flying training. This year he has also gained his pilot’s licence.